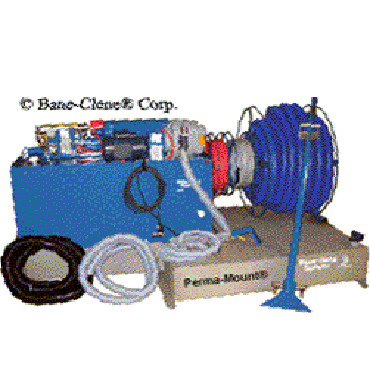 The Bane-Clene® Ultra-Port® Deluxe is the Perfect Truck-Mounted Entry-Level Solution for Carpet Cleaning. 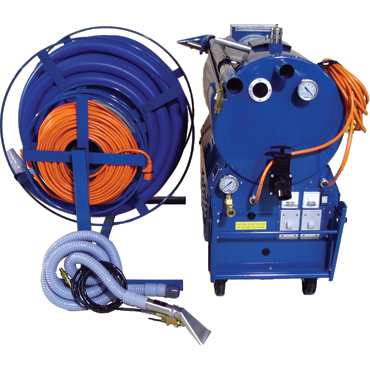 The Bane-Clene Ultra-Port Deluxe offers the economy minded carpet cleaning company the ability to achieve truck-mounted results and still remain within a comfortable beginning budget. 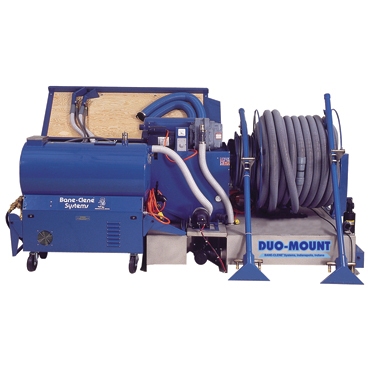 The Bane-Clene Ultra-Port Deluxe uses the same powerful base unit as our larger truck-mounted carpet cleaning machines. 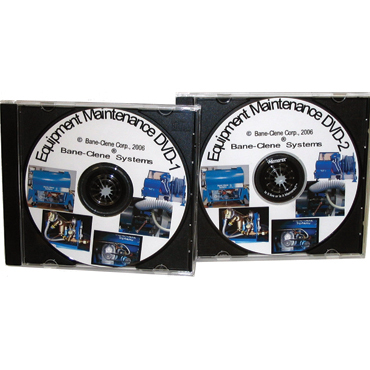 Ideal for the company just beginning, this system will give you countless years of low-cost, dependable service. 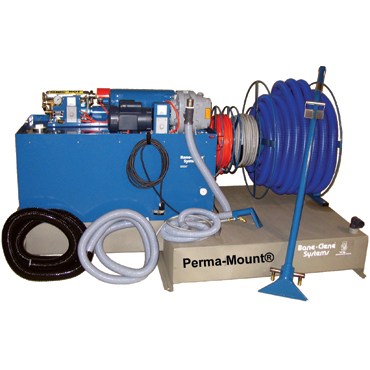 The Ultra-Port Deluxe may be upgraded to a larger truck-mounted carpet cleaning machine by adding the truck tanks when your production needs increase. 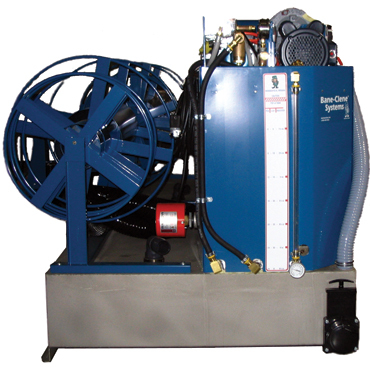 1 1/2 HP Vacuum Pump Motor with sealed bearings and manual reset overload protector (no maintenance). 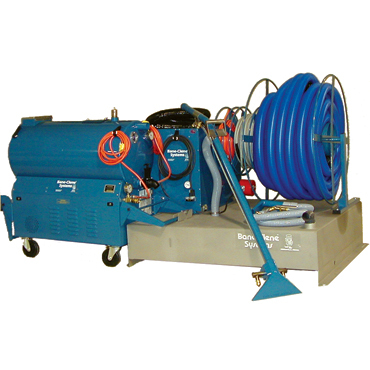 1/2 HP Soluton Pump Motor with sealed bearings and manual reset overload protector (no maintenance). Vacuum: 9 amps at 75% restriction. 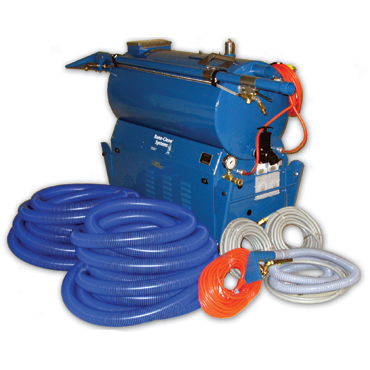 Solution pump with heater: 16 amps. Positive displacement - HD cast iron housing. HD lobe-type impellers for long life. 2" inlet and 2" outlet ports. >Greater vacuum than previous unit. 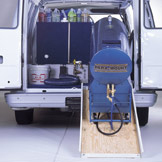 Easy access for oil and grease maintenance. Stainless steel vacuum relief valve. Tank access door for cleaning and maintenance. Large - HD construction - baffled - steel silencer with clean-out ports. Allows for VERY quiet operation indoors. 1500 watt immersion type heater with thermostat and indicator light. 00 PSI rated with easy access clean-out hardware. 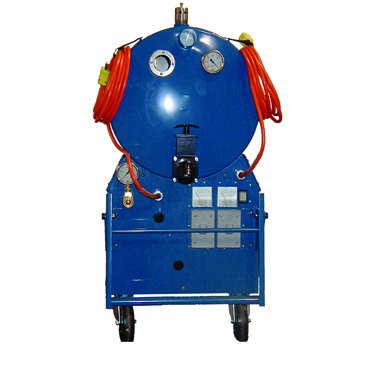 Insulated heater housing with high pressure relief valve. 30% more GPM than previous unit. 0.6 GPM optimal water usage. 50 mesh - secondary brass inline filter. 14 gauge stainless steel with 3/16" HD aluminum component/base plate. 1Motor intake vents and louvered doors. 14 strap mounting brackets with velcro straps on cylinder for carrying cords, hoses, cleaning heads, etc. Front and rear swing-up handles. Glycerin filled vacuum lift and solution pressure gauge. 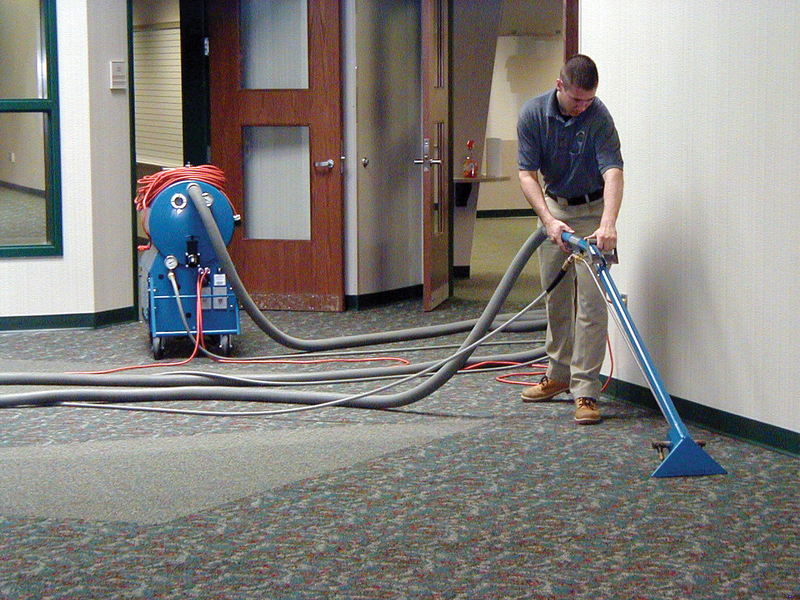 What Is The Real Cost of Carpet Cleaning Equipment? 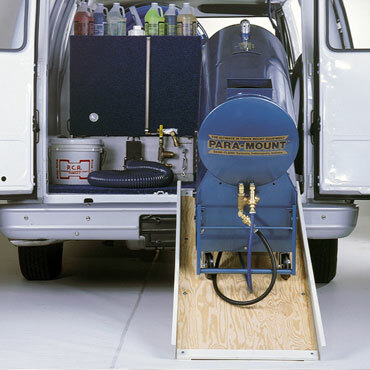 e major advantages of the Bane-Clene Para-Mount® is the ability to disconnect the base unit from the van and tanks and go portable! Now you can clean that multi-story building! 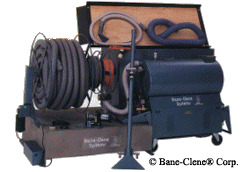 Cleaning School Carpet with Bane-Clene Equipment - Going Portable with Base Unit. 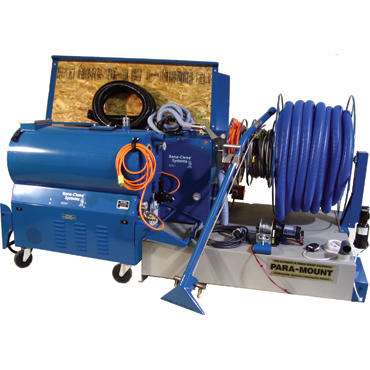 Cleaned using Para-Mount® Truckmount Carpet Cleaning Machine - Going Portable with Base Unit. Used Bane-Clene Preface® Pre-Spray Traffic Lane Spotter, LCA®-256 Detergent with Booster™ for Cleaning.